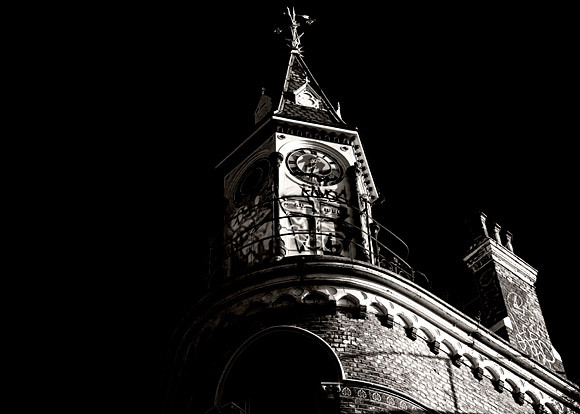 Famed for its distinctive six sided clock tower, Brady’s was closed down in the late 1990s and has remained derelict since squatters were evicted in 2002. Despite a concerted campaign by locals to reopen the premises as a community resource, big money won out and it’s now been scooped up by property developers Jenkins Law and offered up for rent at £85,000 per annum. 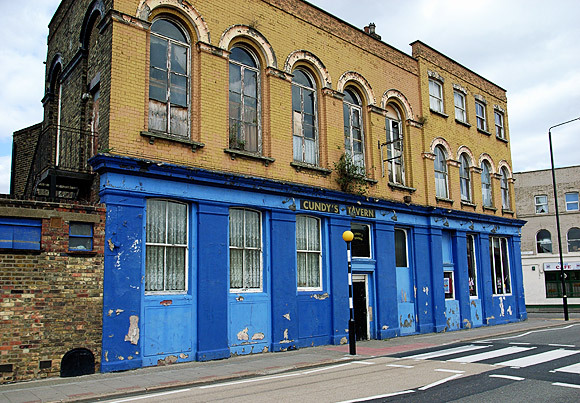 The ABCBrixton website that was set up to campaign for the reopening of this fine old pub has now vanished off the web too, with the server now riddled with viruses. 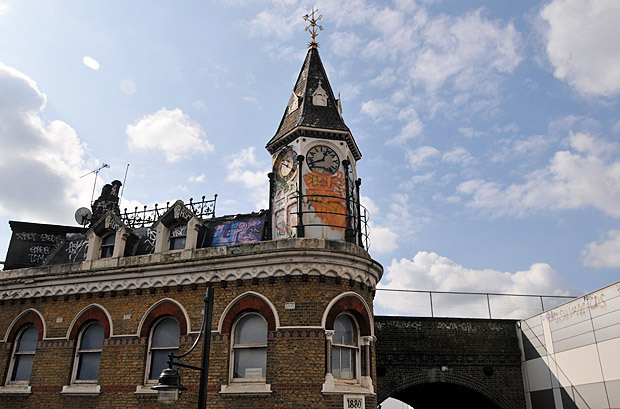 More: Read the History of Railway Hotel/Brady’s or discuss Brady’s on our bulletin boards or check out our Lost bars of Brixton feature. Tragic! 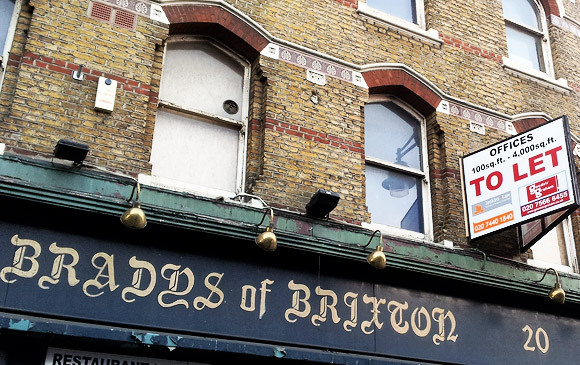 The plans for Brady’s by ABC Brixton would have made a place for community groups in the renewal (or gentrification) of Brixton. 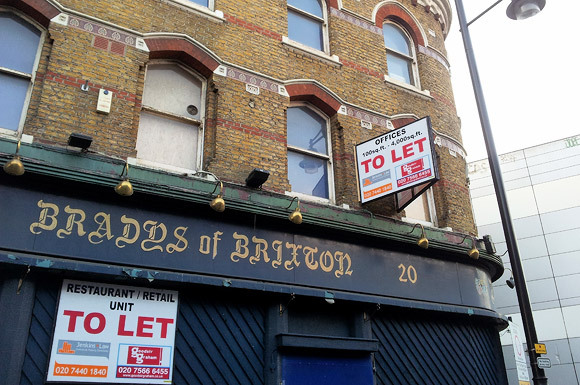 This council appears to be determined to sell off all their property in central Brixton. Not a sustainable long term strategy. 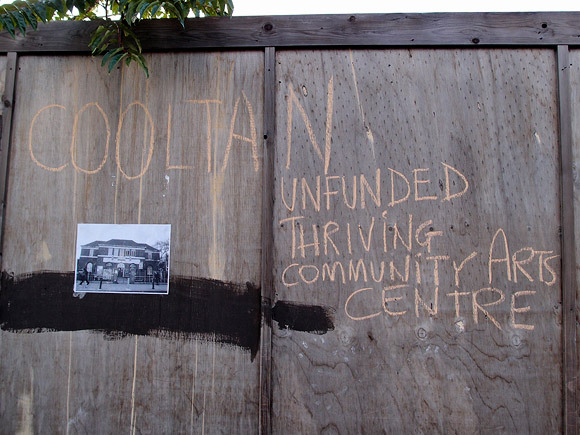 It’s a sad result for Brixton community groups who were hoping for a development plan similar to the succeessful projects in Waterloo, where restaurants set up as social enterprises support community groups. 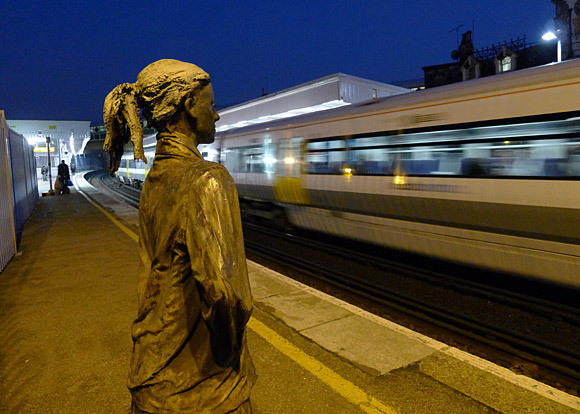 It demonstrates the council’s lack of concern for local residents. This is disappointing. I worked in this pub for a while from 1969 and it was a great place to be. it would be good to see it up and running again. Any old workers may get in touch and reminisce.